It was very clear from the survey work that we have done in preparation of the draft plan that “green” was Highgate’s colour – people love the open spaces, parks and trees. The sense of green is supported by the facts. The forum area is about 27% garden. This is about the same as across Haringey but more than in Camden (19%) and across London as a whole (24%). But the area has much more “green space” (44%) than the two boroughs (both around 25%) and London (38%). Most of it is open to us – the Heath, parks and woods, but even the private areas (playing fields, allotments and golf course) add to the sense of openness and generally offer more pleasing views than buildings. Highgate also has a smaller proportion of road, rail and non-domestic buildings land use than the boroughs and London. 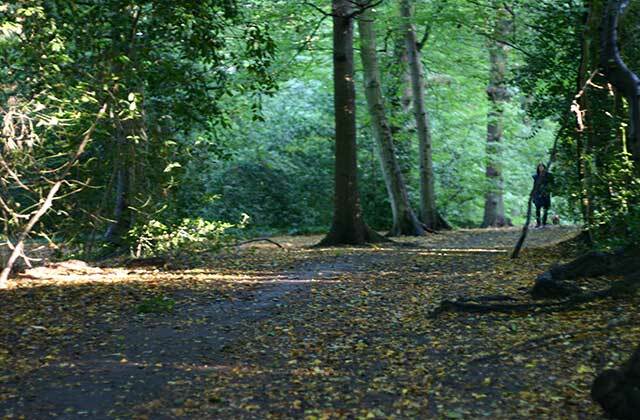 Highgate has many of the features of an outer London place yet is effectively inner London. Perhaps that’s why it’s so popular? See the figures in full. I live on Hillcrest in Highgate and believe that our green spaces should be included in the plan as a local green space. Having lived here for going on 20 years, I cannot state enough how valuable the green space is to the local community. If the council build on it as they wish to, not only will we lose important open space, I feel it will lead to overcrowding and loss of privacy.